LuxePack NYC 2017 was a tremendous success. The Mirri range of papers were presented by our North American partners, Legion Paper. 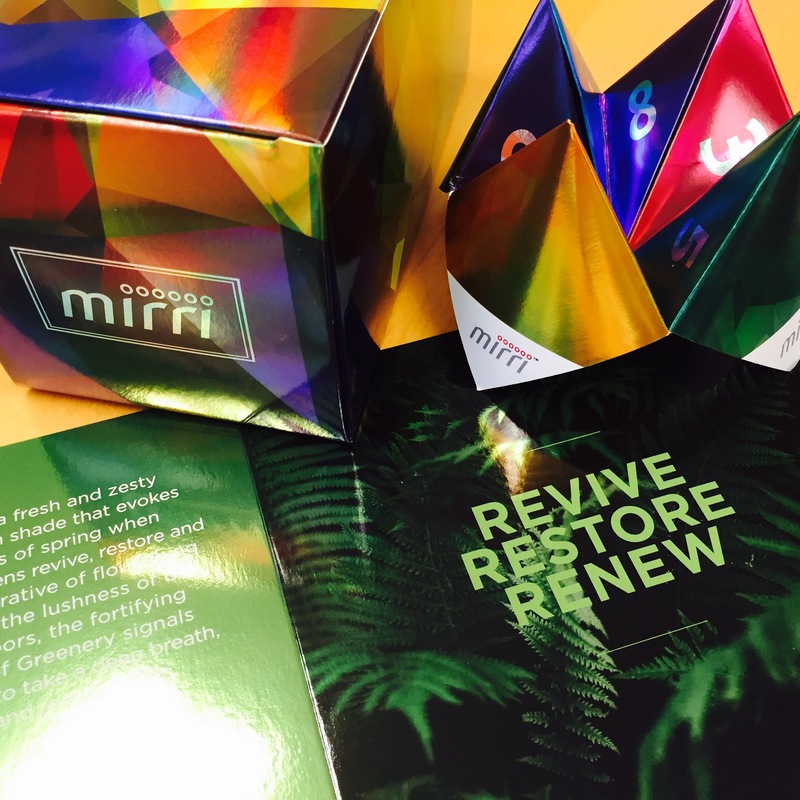 The show stopper was Miri Sparkle, and attendees could take away a sample perfume box produced with Mirri Sparkle Silver with the new Mirri logo foil-stamped in black. Visitors to the Legion stand were also taken back to their childhood with playful fortune tellers produced with MirriPaper Silver. These fun toys cleverly presented the various Mirri grades revealed under the numbered flaps. To further wow the attendees the display cabinet was wrapped in a stunning kaleidoscope of colours printed on Mirri Rainbow.